Peadar O’Guilin grew up in beautiful Donegal in the far northwest of Ireland. These days, he lives in Dublin where he toils day and night for a giant corporation. You can find him on Twitter by following @TheCallYA. Shauna Kosoris: What inspired you to write The Call? 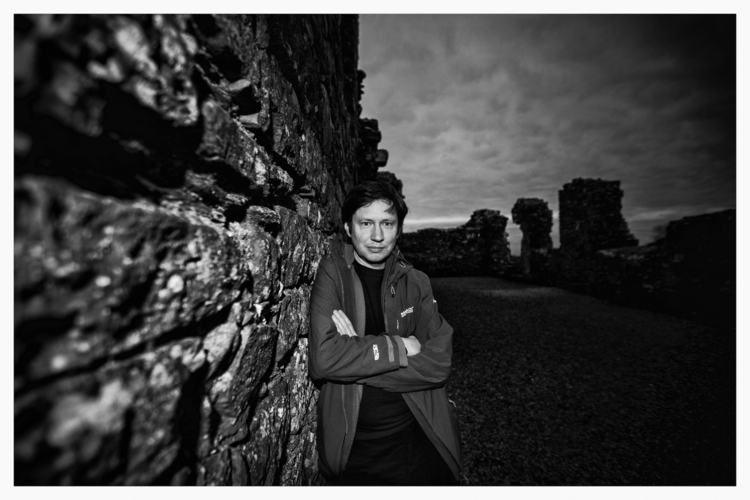 Peadar O’Guilin: I have always believed that one idea is never enough to make a good novel — you need at least two. Everything grows from the interaction of these concepts. The first piece of inspiration I had for The Call was an image of somebody disappearing in a crowded room. I imagined their clothing falling to the floor and I wondered what had happened to them. I knew it had to be something bad, I just didn’t know what. I guess a lifetime of reading mythology and folklore finally broke through to the surface because I used the Irish mythology I’d grown up with to supply the answer. Our version of fairy tales are weird and beautiful and quite unlike the ones that are more common in the rest of the western world. Nobody could fail to be inspired by them, in my opinion. I completely agree! So why does the Call last exactly 3 minutes and 4 seconds? I wanted it to last three minutes so that any witnesses would be on the edge of their seats and counting down all the way, terrified of what might come back. The extra four seconds are there for no reason other than the fact that life isn’t very neat. That’s fair. How did Nessa, a girl with weak legs, become the heroine in a story where the teens have to run for their lives? I always pick heroes for my stories that everybody else expects to fail. They put her in a box, they dismiss and pity her. But Nessa is not the type to lie down and I love her for that. You said you “picked” Nessa. Were there other characters you were debating about making the protagonist? No, there were no other characters before Nessa came into existence. All of the others materialised in response to her. I “picked” her, in the sense that I knew I would need somebody that others would consider useless. My main characters are often thought of by others as a “waste of resources” and a “waste of time”. But, like all of us, they have enormous value that society is in danger of squandering. All of the teens had such different adventures in the Grey Lands. How did you decide on what each of them would go through? I never do a lot of planning in my novels. I want to be every bit as surprised as the readers by what happens. When I sat down to begin each “Call”, I didn’t always know if that character would live or die, or what would happen to them. This is why I wrote it in the present tense. I wanted to feel the unpredictability of the story that I was creating. And you’re right — I knew I had to be very careful to make all of the stories wildly different from each other. To do anything else would have quickly bored the readers. So which character’s Call surprised you the most? There were quite a few that surprised me. I didn’t know Cahal would turn out to have an inner decency. I didn’t know Chuckwu would do what he did. And I really didn’t expect what happened to Emma. I could say more, but… spoilers! Emma’s Call was probably the most surprising one for me as a reader as well. Outside of the whole idea of being Called by the Sidhe, I found the Sidhe’s world to be quite fascinating. Where did you get the idea for the Grey Lands? The Sídhe needed to live somewhere awful so that their desire for vengeance would be bottomless. So, I designed a world that would be the opposite in every way from the home they lost: The Many-Coloured Land. I took away the colour they loved so much. I left them no animals, so that they had to create their own out of pure hatred. The Grey Lands and the Bone World of your previous trilogy are both very brutal settings. Why do these types of worlds appeal to you as a writer? It’s all about increasing the stakes. The greater the threat, the more heroic the characters have to be to overcome them and the more we, the readers, fear for their safety and root for their success. At least, that’s how I feel. 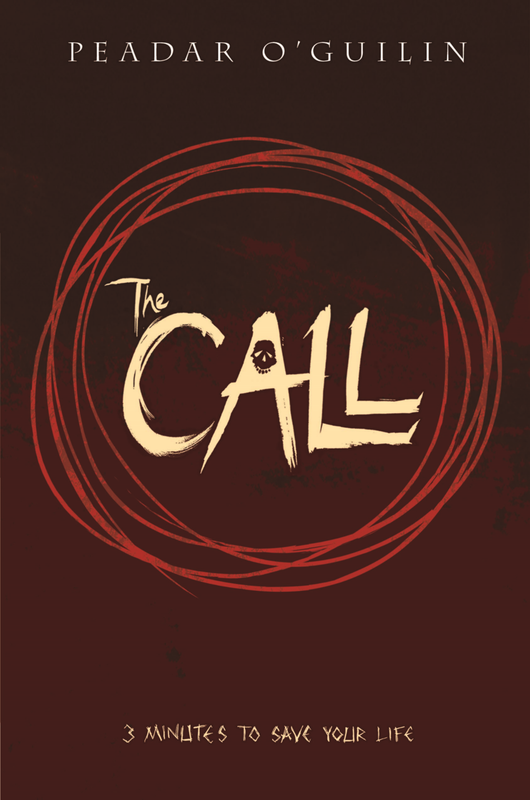 I’m working on a sequel to The Call. I have no name for it yet and don’t plan on writing more than two books in this series. I have plenty of other stories in my mental queue for when that’s done. How exciting – I can’t wait to read that sequel! Let’s finish up with a few quick questions about reading. What book or author inspired you to write? I’ve been writing stories my whole life — at least since the age of five! So, I can’t remember what book first got me started. But the one that made me passionate about world-building, has to be The Lord of the Rings by J.R.R. Tolkien. Reading that the first time was like having a bomb go off in my brain with lights flashing and trumpets blaring. It changed everything for me. I think the book everybody should read is the one that will do to them what The Lord of the Rings did to me. However, that book is different for every reader. Please, read whatever you love and feel no guilt about it. Sure, you need to study whatever books your school demands too, but in your own time, you should be free in every sense of the word. Kid Got Shot by Simon Mason. It’s a YA mystery with fantastic characters. I loved his previous novel, Running Girl.